With less than two weeks until SmackDown's next brand-exclusive pay-per-view, the build to TLC intensified on tonight's episode of the show. 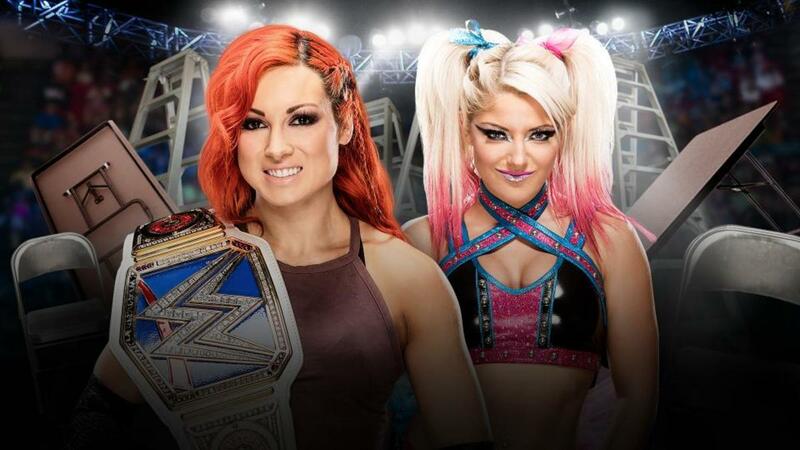 It was officially announced in a backstage segment with Shane McMahon that Becky Lynch would defend her SmackDown Women's Championship against Alexa Bliss at TLC. Their last match ended in controversy on the November 8th edition of SmackDown when Bliss tapped out to the Dis-arm-her with her feet on the ropes. After it appeared that American Alpha had earned a shot at the SmackDown Tag Team Championship, The Wyatt Family interrupted their celebration and said that Randy Orton and Bray Wyatt will be facing Chad Gable and Jason Jordan next week with the winners taking on Heath Slater and Rhyno for the titles at the PPV. American Alpha had won a six-team tag turmoil match by last eliminating The Usos before they were interrupted by the Wyatts. Lynch vs. Bliss joins the already announced tables, ladders, and chairs match between AJ Styles and Dean Ambrose for the WWE World Championship on the TLC card. The PPV is scheduled for December 4th at the American Airlines Center in Dallas, TX.